Aaron was a pioneer in the field of audiovisual automation. After earning his degree in Audio Engineering, he co-managed a Hi-Fi store in Coral Gables, FL with Spencer Hauldren, at the time when remote control consolidation for AV and lighting products was in its infancy. 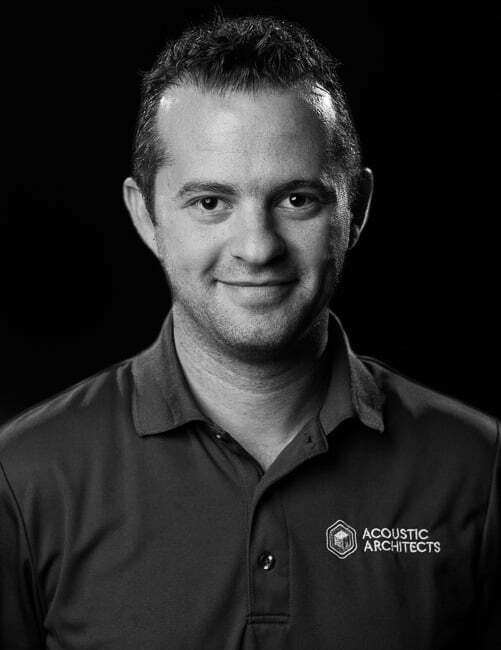 Aaron soon realized there was an underserved market for a premium installation experience, which led to the inception of Acoustic Architects. Aaron is witty and hilarious with a mind that never stops. He is endlessly passionate about his work and team, constantly striving for the development of richer solutions in smart-home automation.